A single, new tablet-like display, a host of luxury features and a number of changes in design and drivetrain. 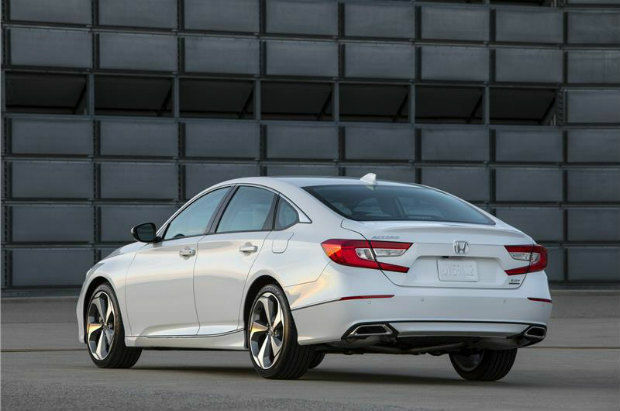 Honda has unveiled the 2018 Accord, and as is always anticipated with Honda's full length Accord, the new luxury sedan comes with a host of features, upgrades to the infotainment system, new styling and driving dynamics. Some of the highlights of the 2018 Honda Accord include a 10-speed automatic transmission, two-motor hybrid driving, assisted driving and connected car systems, and a lot more. Here's looking at what's new here. The 2018 Honda Accord does away with the dual-step displays to the central column, and instead has a TFT MFD on the instrument cluster and an 8-inch infotainment display mounted on the central dash. The system gets all the regular support for Apple CarPlay and Android Auto, along with standard features like a 3D satellite navigation unit, wireless music playback, support for USB and HDMI, and more. 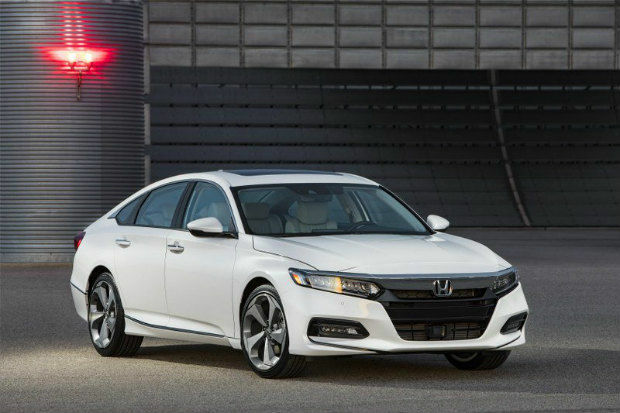 New to the 2018 Honda Accord are HondaLink connected car services, that add advanced telematics like continuous on-road assistance, remote unlocking and start/stop of engine, speed tracking, geofencing and more. These bring new levels of technology to the equipment array of the Accord, and makes the infotainment system more useful for the owner. 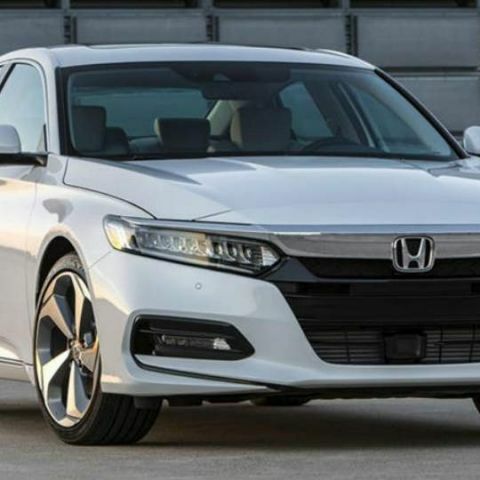 Other elements in the Honda Accord include an augmented Head-Up Display with Traffic Sign Recognition, wireless charging, NFC, onboard WiFi hotspot and more. The speaker setups range from 4-speaker, 6-speaker and 10-speaker variations, with audio power output ranging between 160W and 450W. The array of advanced driving assist features under the Honda Sensing umbrella include Collision Mitigation Braking System (CMBS), lane and road departure warnings, adaptive cruise control, low-speed follow, traffic sign recognition, blind spot information, driver awareness monitor, surround parking sensors and Cross Traffic Monitor. The 2018 Honda Accord will have a multi-angle rear view camera with dynamic guiderails to aid parking. All of these make the car get considerable level of machine-driven assistance, and most of its applications right now are aimed at road safety rather than aiding the driving experience. These use onboard laser sensors to gauge surroundings and give adaptive driving features, but do not encourage the driver to take his eyes off the road. The 2018 Honda Accord gets a 1.5-litre turbocharged petrol engine producing 192bhp of peak power and 260Nm of torque. Meanwhile, the 2.0-litre turbocharged petrol engine produces 252bhp of power and 370Nm of torque. All variants based on the former engine gets a 6-speed CVT or 6-speed manual transmission options, while the more powerful unit gets a first-in-class 10-speed automatic transmission. Along with Normal and Sport driving modes, the 2018 Honda Accord gets adaptive dampers that adjust the suspension intelligently, depending on the driving mode and the terrain. Adding to that is the new platform's torsional rigidity, all of which combine to make the long sedan more stable and a better handler than before. 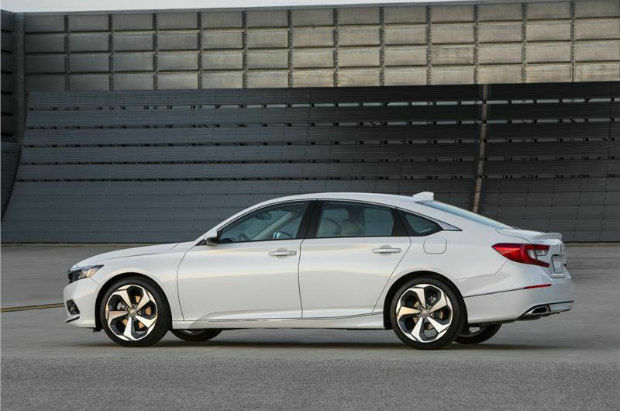 The new Accord also rides slightly lower than its predecessor, leading to lower centre of gravity. There is no clarification on when the new Accord might come to India. The present generation Accord came to India in 2016, and the new 10th generation Accord will only encounter a global launch later this year. We certainly do not expect to see it in India until at least late 2018.